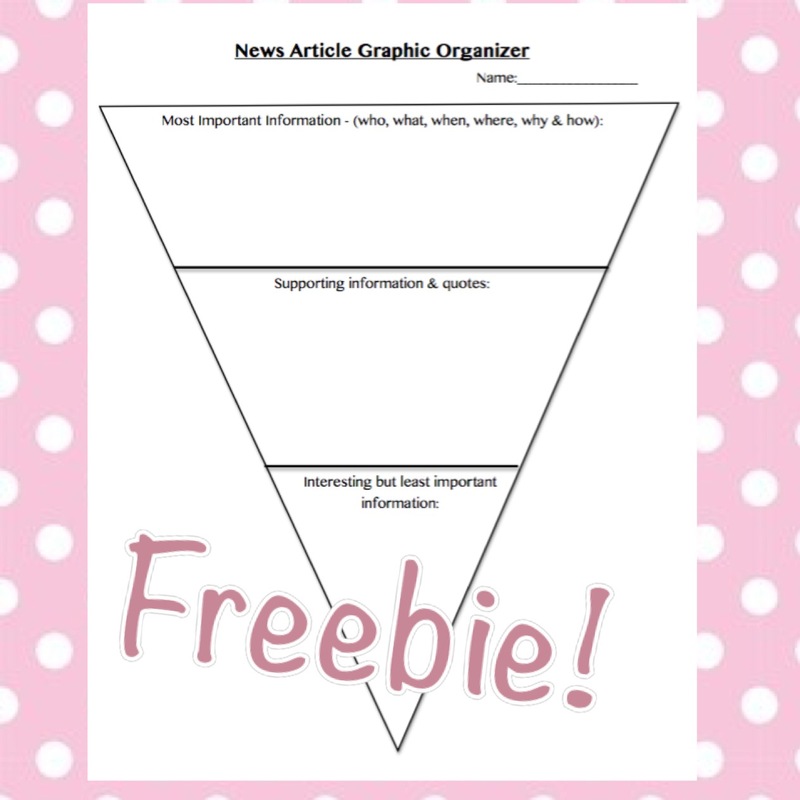 This news article graphic organizer is great for students because it helps them plan the overall flow of their news article before writing. It’s a great way to map their thoughts and plan out their writing, and it’s also useful for teachers to track their students before the final writing process begins. If you liked this graphic organizer and found it useful, don’t forget to rate us down below :). Great resource for all grades. I’m using this for my seventh graders. Thanks! I like the simplicity of the organizer. I am using it with a high school Spanish class. It will definitely help them understand that they need to keep it simple and sweet and stick to the facts.